Lots 1-7, Approx 2.5 acres, Great for Camping, Overlooking White River, Large Rock Bluffs on Property, Mountain View, AR, Stone Co. 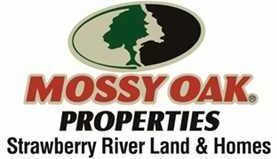 This approx 2 acre property could be that perfect recreational piece you have been looking for on the White river in Mountain View, AR 72560, Stone County. This River offers some of the worlds Best Fishing. This property is only walking distance to Anglers Restaurant and convenient store, a public boat launch and just about 5 miles to the Center of Mountain View. If your a motorcyclist and want a place to pop up a tent or maybe just someone who comes to Mountain View and needs a place to leave a camper then you need to see this one. There is a Rock Bluff on this property that is Amazing with wild flowers growing all over the area. Truly a beautiful spot. There is a gate that you can shut and lock if needed or wanted to. You will share a key with a couple land owners that have a place past you. If your interested please give me a call at 870-897-0700.